The patient’s description of his or her problem is the key to the evaluation. 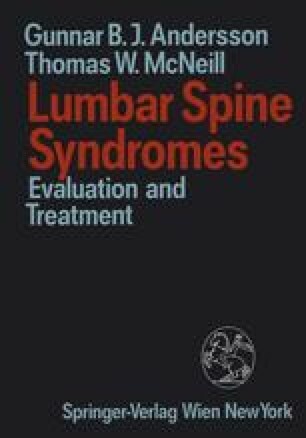 In this text, specific low back syndromes are discussed in individual chapters. Differentiating between them requires a careful patient interview. Specifics to look for in individual patients are discussed in the chapters below. The subsequent discussion is generic to the obtainment of a history in any low back patient.